Download for free this pizza text style and use it to create cool looking food typography in under a minute. The pizza Photoshop free style is fully customizable, you can use any type of layer and can be used in personal and commercial projects with attribution. This pizza text effect can be used for Italian restaurant flyers for example. Great effect for any pizzeria advertising material. This item is not 300 DPI print ready, so it can only be used on web. This is a free pizza style that you can use it both for text and shape layers. 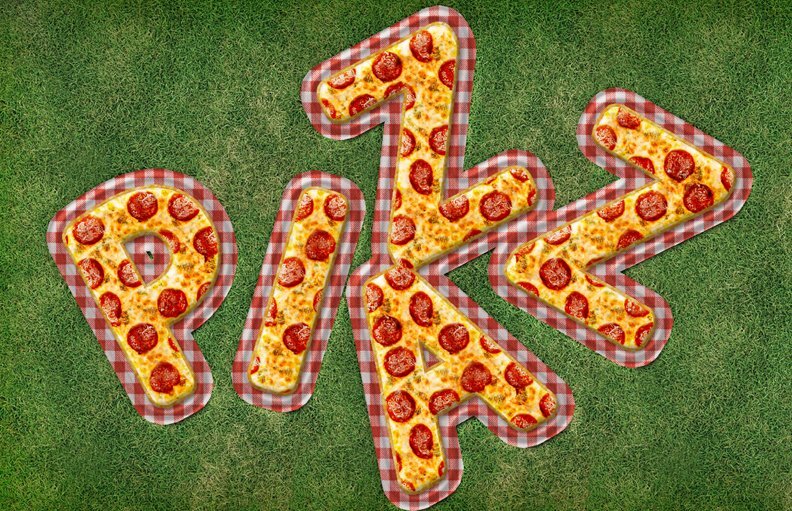 In this tutorial you can learn how to create a pizza text in Photoshop from scratch. Open the PSD file called "free-pizza-style-by-psddude.psd". Add your image inside the last "ADD YOUR TEXT INSIDE(www.psd-dude.com)" smart object. Double click on the smart object(s) thumbnail to open and edit. Add your text layer(s) and/or custom shapes inside. Save and close to see the result. 2 comment(s) for "Pizza Photoshop Free Text Style"